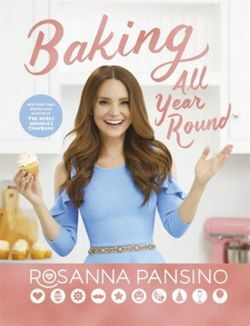 Baking All Year Round is the second cookbook from Rosanna Pansino, the creator and star of YouTube's most popular baking show, Nerdy Nummies. This cookbook is dedicated to foods for all occasions, from Valentine's Day to Christmas and New Year's Eve. It is fully illustrated with recipes for colourful and creative baked goods, including autumn leaf cookies, red velvet Santa brownies, XOXO churros and many more.